Hello everybody, Martin direct from Méribel again. Like many other ski instructors, I can't wait to put my skis on and go for a slide as soon as possible each winter. 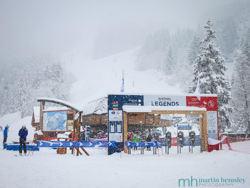 The Méribel lifts will open this coming weekend (5th December), but there was no way that I could wait that long! 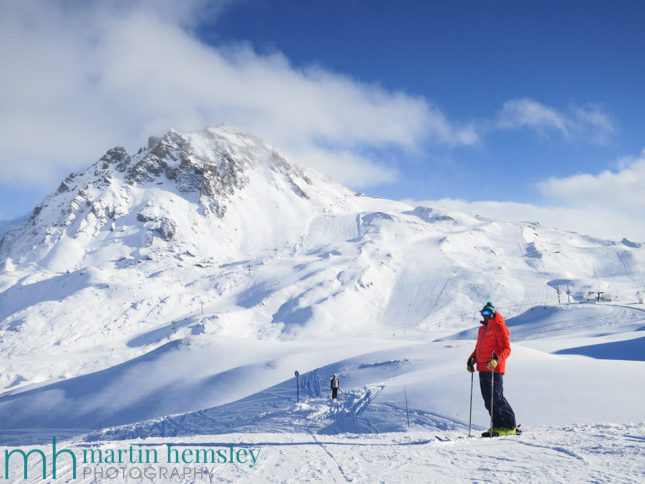 So for the last couple of weeks I've jumped in the car and driven over to Tignes and Val d'Isere and had heaps of skiing in the good early winter conditions. This has been fantastic to say the least in many ways, however one benefit has been that is has re-booted the skiing department in the brain that had been hiding all summer. So with that in mind, let's talk about skiing and how to improve. 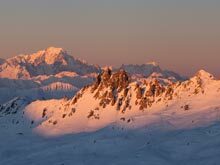 Before coming out to the Alps, I came across an article online written by a very well respected ski instructor. 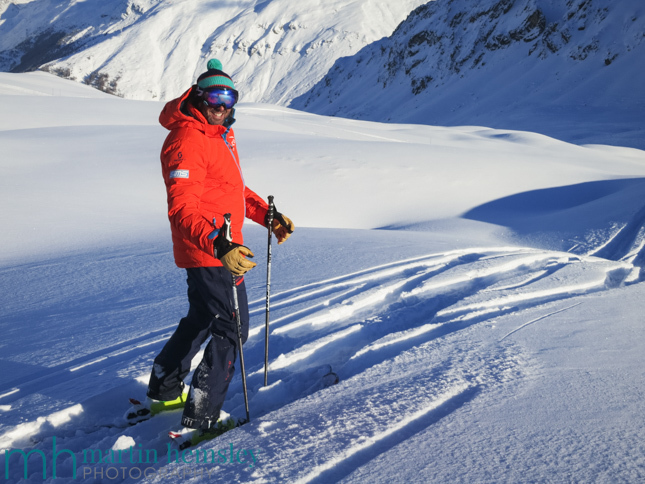 The general gist of it was a list of five simple tips that can help intermediate skiers improve. The really interesting thing for me was that there were no technical recommendations at all. One example was a quote - 'Feel free to make mistakes'! When I first read this, my thoughts were that we don't want people to make mistakes on skis. Hence having lessons will help iron out said mistakes. But then reality came back, is it actually possible to ski perfectly without making mistakes? Yes, it is, but perhaps only when we are skiing on terrain that is well within our comfort zone. Nothing wrong with that of course, in fact it can be massively enjoyable to do this. 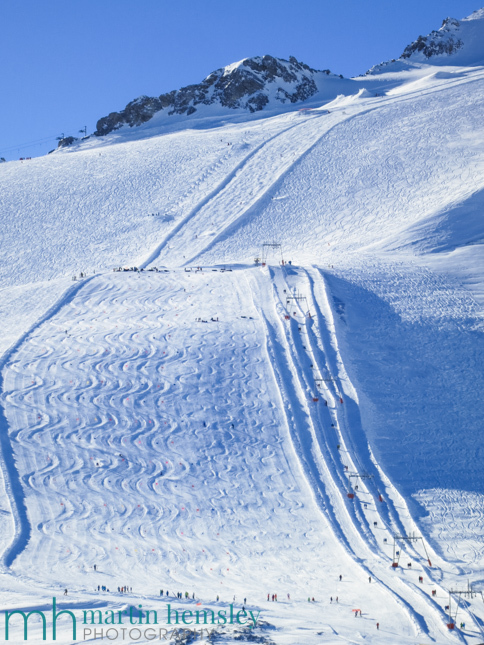 However to move our skiing up to the next level, we sometimes need to find ourselves on slightly trickier terrain where our 'perfect' performance is affected. I believe what the author of this article was bringing to the reader's attention is this. When you make mistakes whilst skiing, accept that it happens and not get cross, and importantly use the message as a 'call to action'. In other words, identify what the mistake was, learn from the message, and act on it for the next few turns. 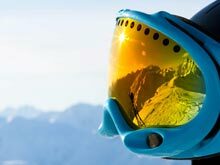 I reread this interesting article a few times, and enjoyed the confirmation that psychology can be linked with our skiing performance. So much so that when my mate Slippers Jackson, a fellow ski instructor, came and stayed with me for a few nights - I showed him the article. So along with opening a cheeky bottle of red wine, a lengthy ski instructors discussion took place. Anyway, enough of that for the moment. For several days, Slippers and I went over to the Espace Killy (Tignes etc) ski area and started to put the miles under our belts. Like the vast majority of skiers when first putting on skis since the previous winter, we had a few wobbles and hoped that the magic was still there somewhere. It was of course brilliant fun being back on skis, seeing the mountains, and generally mucking about like you do. So was the magic still there? For me not on the first day, nope. Neither the second day. In fact come the third, the magic was still to be found. Granted, I was getting down pistes perfectly fine. But the feeling of having twinkle toes, and being smack bang in the middle of the skis (ie nicely balanced), wasn't quite there. And it was getting to me so much that I spit the dummy out of my mouth, and threw all of the toys out of the pram...... copped a strop. You get the picture. Not a happy bunny. When this happened half way down the piste, Slippers said to me "Right, take a deep breath and ski off in front of me, I'm going to follow behind and watch you ski". So off I went in a red mist of frustration for a minute or so. When we stopped, Slippers then asked "Ok, tell me what you like about your skiing. What do you think you are particularly good at?" This caught me off guard a little, because I was expecting an observational comment to come my way instead. It took a while for me to come up with something, but when I eventually mentioned my choice he replied with a smile - "That's interesting, I spotted something else when I was following behind. I love the quality of your steering (ie feet steering/turning the skis)." What followed was another short discussion before we both skied off for another minute or so towards the next lift. Suddenly my performance felt better. 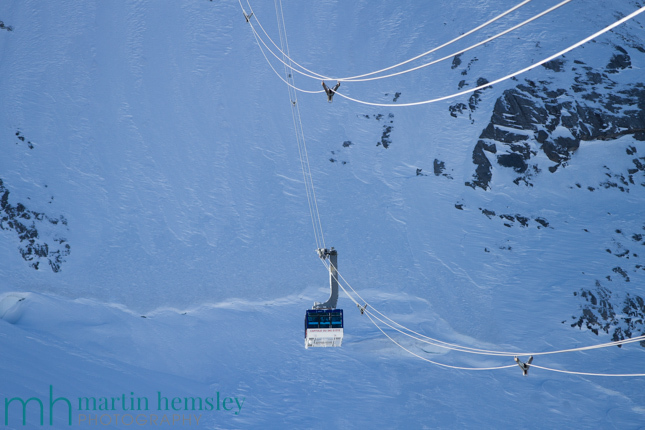 Anyway, up the lift we went, talking about our summer careers, and then whizzed off down the next piste. For some reason, it was all feeling really rather good again. Then it dawned on me, and I stopped straight away. Slippers stopped as well and I said to him - "You cheeky monkey (or words to that effect), you've just made me feel good. You have just put confidence back into my skiing on purpose haven't you?". 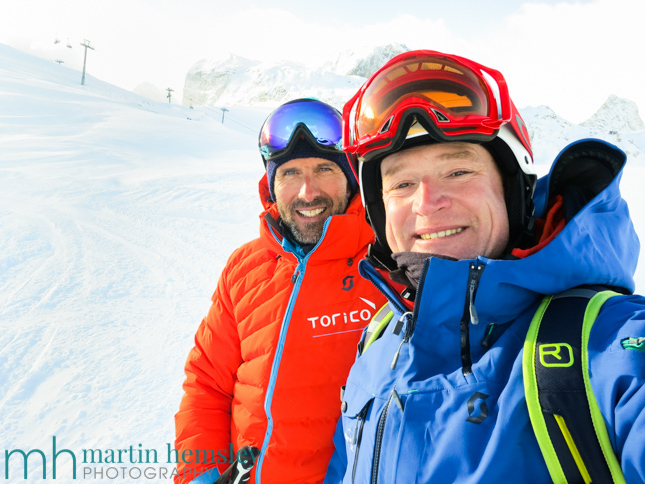 He agreed, with his trademark huge grin, and explained that he was fed up with skiing with a grumpy Martin, and had to do something to improve his morning!?! Later over lunch, we discussed that article again. The first run after lunch, we went through the same process again. This time with Slippers deciding on what he thought was his forté, and also what I thought was his. And that Ladies and Gents was what made our skiing day, it was an absolute beauty. Had our technical performance improved during the day? Perhaps, who is to judge. But boy oh boy did we 'feel' better. And feeling good on skis is utterly priceless. 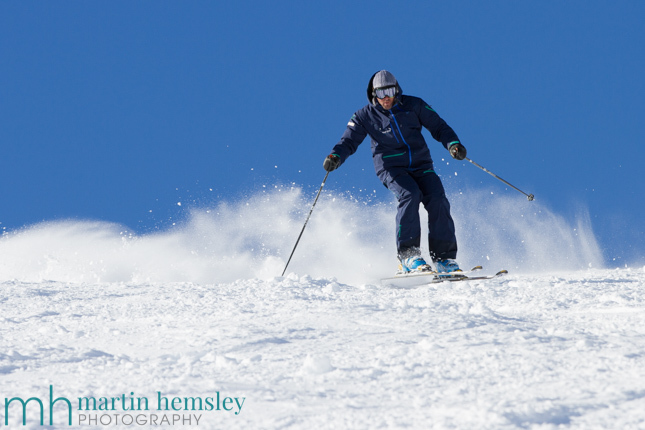 So back to the title of this blog post - 'Can psychology play a part in the sport of skiing?'. According to the article I read, and from personal experience, you bet it does. Incidently the article was aimed at intermediate skiers, but I believe it can relate to any standard of skier. Now then, one other small thing before I sign out for a couple of weeks. Snow conditions. All of these photos (except the one above) were taken in the last week, so hopefully you can get a visual from them. And I'm happy to report that the piste skiing is fantastic, which is especially good news for this early in the winter. Don't forget to keep an eye on the webcams, the views are amazing with gorgeous weather at the moment. One thing worth mentioning though, is perhaps don't only rely on the webcams on what the snow conditions might be like. They don't accurately display how the snow 'feels' under the skis. See what I did there? Use the word 'feel' again. I hope you enjoyed this blog post, if so you might like another written during last winter, click here for the link. Feel free to share away on Facebook, Twitter and Google+ by using the social media icons. Or leave a comment below. Have those dreams of skiing started yet this winter? I do hope so, feels geat doesn't it? Martin.